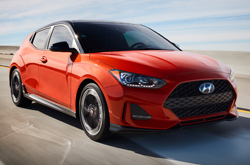 The all new 2019 Hyundai Veloster fans have a host of features and exterior touches to look forward to next year. You'll have 5 bold trims to choose from, a brand new engine lineup, and plenty of technology touches to appreciate in what might just be one of the greatest values in the sports car arena. You'll get a lot of glitz, glamour, and speed without a huge price tag and you'll have the option to upgrade until you've got exactly the sports car you want to have. Let's start off with a look at the new 2019 trims. The base model is the VELOSTER 2.0. 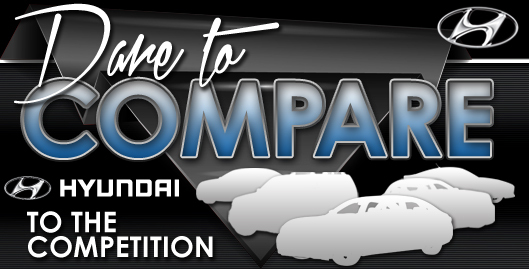 You'll have four additional trims to choose from: 2.0 Premium, Turbo R-Spec, Turbo, and Turbo Ultimate. The standard exterior features on all models include projector headlights, LED Daytime Running Lights, tinted glass, and one speed rear wiper. That's a lot of standard style but it gets even better when you bump up to another trim. High Beam Assist is standard on all but the base trim and 2.0 premium. And you get a wide sunroof standard on all but the 2.0 and R-spec. Interior features include 6-way adjustable driver seat available on all trims, 7-inch color touchscreen audio standard on the base model, 8 inch standard touchscreen available on 2.0 Premium, R-spec, and Turbo, and then a huge 9 inch touchscreen available on the Ultimate. 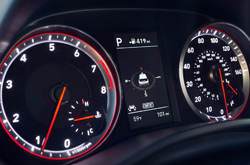 Apple CarPlay and Android Auto comes standard on all trims, while you're going to get things like Smart Cruise Control when you opt for the Ultimate. It's a smart, sleek package all the way around with a terrific value across the board, but if you just want more, The Ultimate is the way to go. 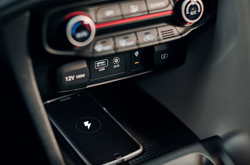 How does the Veloster Perform? The Veloster 2.0 and 2.0 Premium feature a 147 horsepower turnout thanks to a 2.0 Inline 4-cylinder engine. The R-Spec, Turbo, and Ultimate feature a 1.6 Inline 4-cylinder Turbo engine that powers out 201 @ 6000 horsepower. As for torque, things are looking even better: The 2.0 and 2.0 Premium gives you 132 @ 4500 of torque while the remaining trims will give you 195 @ 1500 - 4500. 6-speed manual transmission comes standard on the 2.0, Turbo Ultimate, and R-spec, while the Turbo gets a 7-speed EcoShift® Dual Clutch Transmission. This can optionally be added to the Turbo Ultimate as well. And don't forget that Drive Mode Select comes standard on all models. It wouldn't be a sports car experience otherwise! Get ready for a steady round of standard safety features on all trims: Energy-absorbing steering column, front and rear crumple zones, front seatbelt pretensioners, Driver and front passenger side-impact airbags, Side-curtain airbags, and Brake Assist are standard across the board, no extra charge. This means a lot to our more safety conscious customers who simply demand that they have extra safety features in order to feel comfortable driving a car off the lot. We don't blame you. The Turbo and Turbo Ultimate feature standard features like Rear Cross-traffic Collision Warning and Blind-spot collision warning, while the Ultimate features Forward Collision-avoidance Assist with Pedestrian Detection, a state of the art safety feature that many of you will want to take advantage of. If you think that the Veloster sounds like your next vehicle, just give us a call today to test drive!